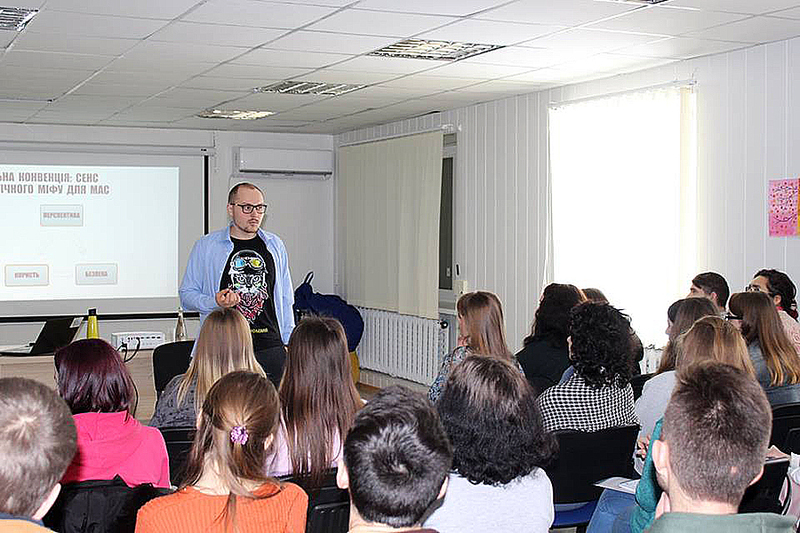 Students-journalists and teachers of Luhansk Taras Shevchenko National University learned to analyze the media space during the training “Psychological Management of Media Reality”. 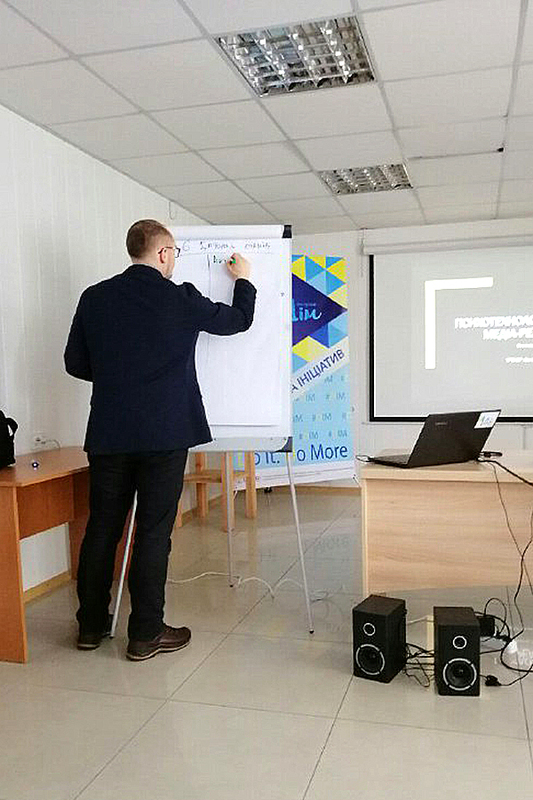 The training took place on February 7 in the city of Rubizhne as part of the project “Improving the quality of information in the local media and the ability of journalists and students of the Luhansk region to determine fake news and propaganda through trainings, seminars and publications”, which is carried out by the Public Organization “Tribune” with the support of the Canadian Foundation and local initiatives. 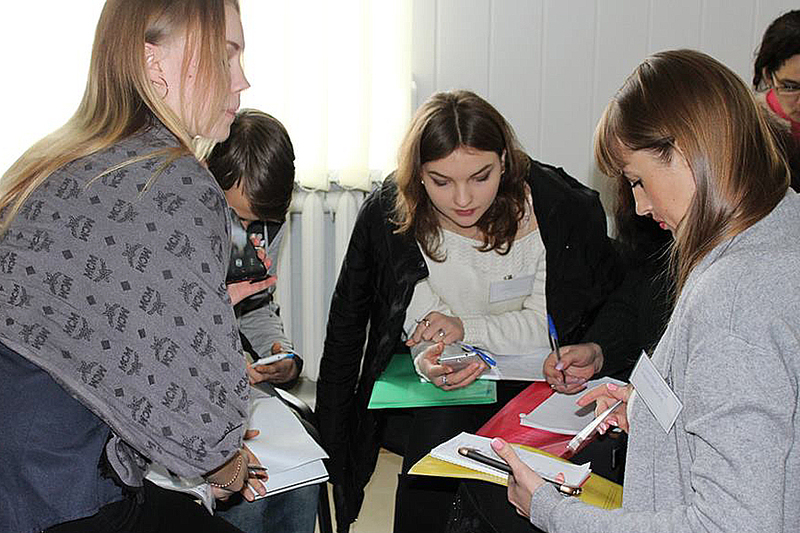 The participants were students-journalists and teachers of Luhansk Taras Shevchenko National University and Volodymyr Dahl East Ukrainian National University, as well as students of Rubizhne schools, who dream of devoting their lives to journalism. The coach was Yevgen Bondarenko – the head of the School of Media Patriots. 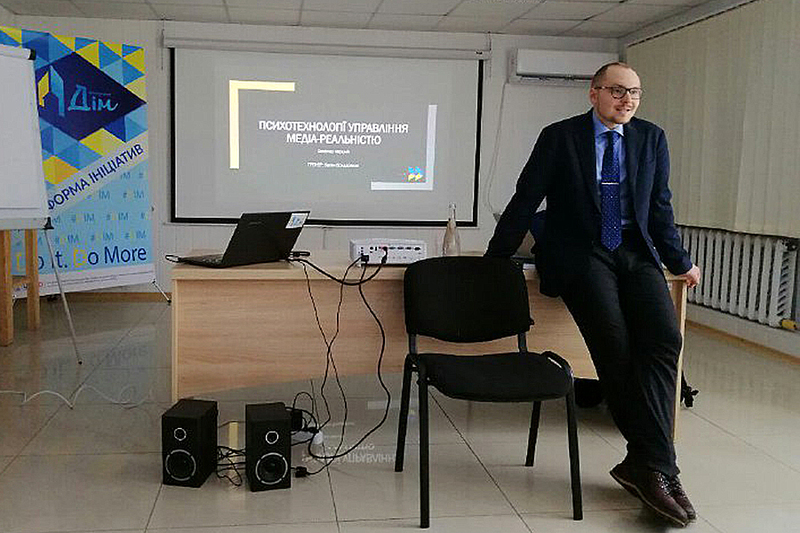 He spoke about the features of the development of the information space of Ukraine, principles and technologies for the development of competitive and local media projects, as well as the study of a systematic approach to the development of open media space. For a clear understanding, the participants together with the coach reviewed examples of fake news and analyzed them. The news of 2013–2014 was particularly discussed, when the fake news had an “excellent wrapper”, spread at an incredible speed and enjoyed more confidence than the truthful ones. Therefore, the participants analyzed the news point by point, looked for the idea that the author wanted to convey, and the methods of influence used by the journalists.